Walking through a mall, everyone knows where that alluringly sweet scent comes from. 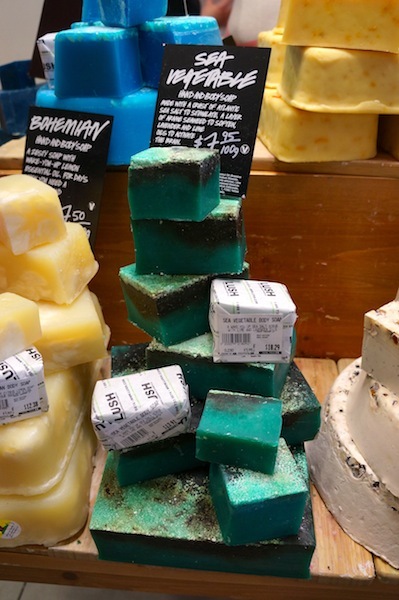 It wafts down the halls, calling shoppers of all ages with its siren song and promises of clean, natural beauty products. 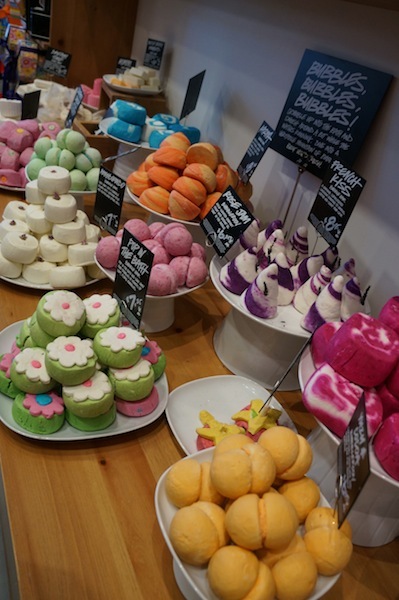 Once inside LUSH, we’re trapped by the Willy Wonka’s Chocolate Factory of natural products. Don’t know what I mean? Have a look for yourself! You must be thinking…surely she bought something, and this post isn’t just pictures of in-store products?! Of course I did, silly! 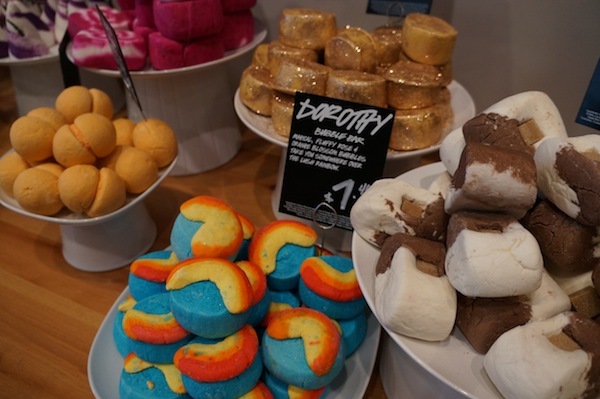 Granted I didn’t buy nearly as many things as I wanted to, mostly because I don’t take enough baths in the summer to warrant those beautiful salts and bath bombs. 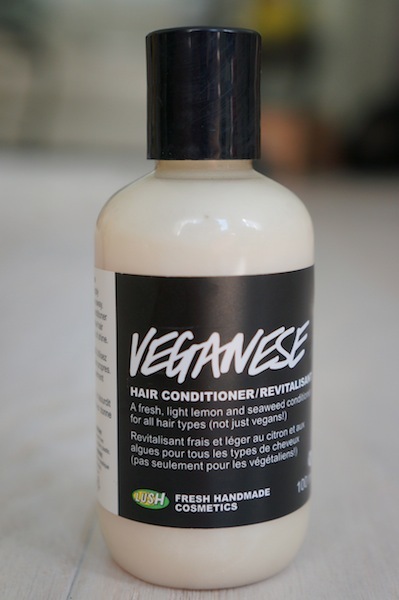 Instead, I opted for the BIG shampoo and Veganese conditioner. 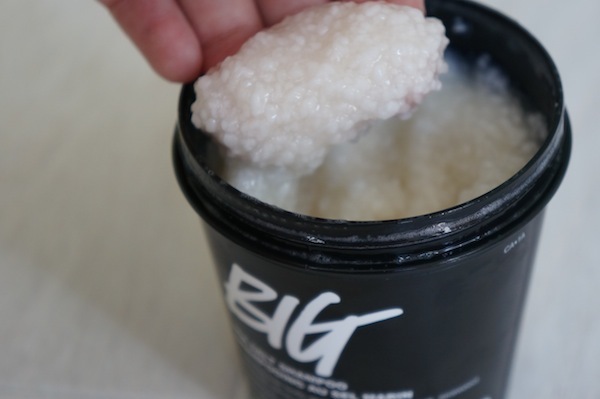 BIG is a seaweed and sea salt shampoo that exfoliates your scalp (it feels soooo good), and leaves you with shiny, soft locks. 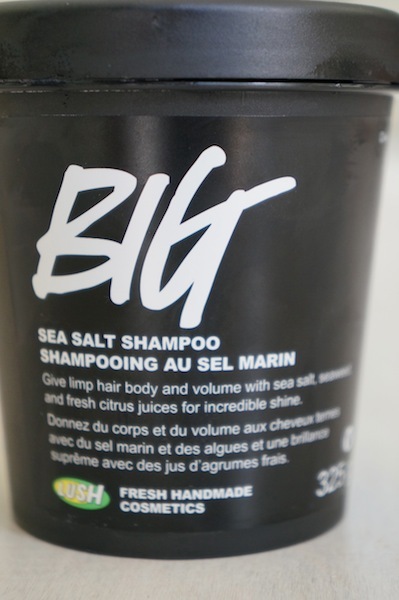 And the Veganese continues the seaweed ingredient and adds hints of citrus for shine, a lightening effect in the sun, and a wonderful clean scent that lasts until your next wash. I had never tried these products before buying them, but I really like them and would definitely buy again. 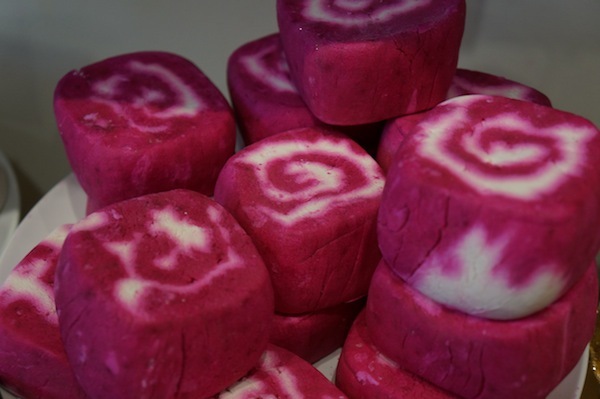 They’re perfect for breezy summer days and quick, cool showers! Atascocita Texas! Just wanted to mention keep up the fantastic work! topic of my presentation subject, which i am going to convey in university. Previous Previous post: The Bicycle Thief – Best Food in Halifax! Next Next post: Xbox One – The Big Reveal!